Many developing countries are embracing the use of information and communication technologies to improve primary healthcare delivery. Often referred to as eHealth — or mHealth when they rely on mobile technologies — these programs can greatly increase access to quality healthcare at a reasonable cost. These programs generally assume that everyone will reap the same rewards, but women, the young and elderly, the poor, refugees and various ethnic groups have different needs and their access to services varies widely. This means terms such as “quality” and “reasonable cost” can vary depending on whom you’re asking. Whose perception of quality is reflected in the program? Who in the household makes decisions about when, how, and how often to seek care? Unless these questions are addressed early on, people’s experiences with eHealth and mHealth projects will differ — and their benefits will be unequal. 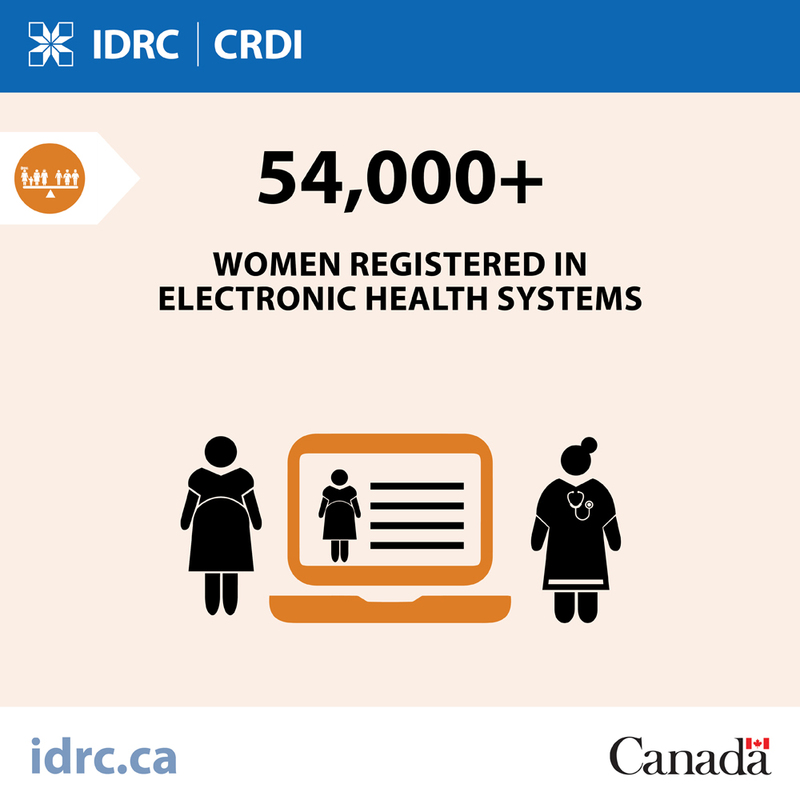 Launched in 2013, the Strengthening Equity through Applied Research Capacity building in eHealth (SEARCH) initiative intentionally incorporated a focus on social and gender analysis across all projects. Now coming to completion, the projects have yielded many lessons for the design, implementation, and analysis of equitable eHealth projects globally. In most parts of the world, women tend to have less power and fewer resources than men. The SEARCH projects focused on ways to address this imbalance by involving midwives, pregnant women, new mothers, and husbands in the projects. Some were community health workers, and others were health planners and decision-makers, but they all have important roles in strengthening health systems so everyone benefits equally. In Bangladesh for example, mobile phones are widespread, but they are far more often owned by men than by women. Moreover, men — particularly younger, better educated men — sought health information more often than women. Building on this observation, the team developed a framework to guide future eHealth programs in the design, development, and evaluation of projects that consider and seek to redress gender inequality. In Lebanon, it was discovered that targeting health information and services towards women during the day was more effective because they had more control over their time. Reaching men during the evenings proved to be most effective. Understanding how a person’s gender, age, and class can influence availability was critical to improving the effectiveness of the project. 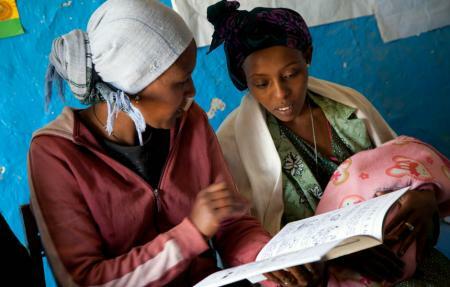 Literacy is another important consideration when extending the reach of health information and services. In Burkina Faso, as many as 90% of the population targeted by the project were illiterate. Researchers therefore determined that only pre-registered voice messages in five local languages could ensure participation and bring about positive changes in health. SEARCH also found that because women have few opportunities to actively engage in eHealth and mHealth project development, many relevant issues are overlooked. In Vietnam, for example, a survey showed that minority ethnic women living in remote regions had limited knowledge of reproductive health, pregnancy, and infant care because they had difficulty accessing health centres, they felt scared to go, or the healthcare providers had insufficient time to spend with them to explain pre and post-natal care. With vital health information being shared through texts, the mMOM program often eliminated the need for women to make complicated trips to the health centre. SEARCH showed that health systems themselves are highly gendered: men occupy most of the decision-making positions and women predominantly work in poorly paid, low status positions. In Peru, implementing an integrated mobile phone system known as WawaRed for collecting and transmitting data enhanced the status of midwives who were trained in data collection. It also promoted greater equity among workers in primary health centres since everyone could access the new e-records. In Burkina Faso, providing women health workers with mobile phones helped raise their social, economic, and professional status in the community. 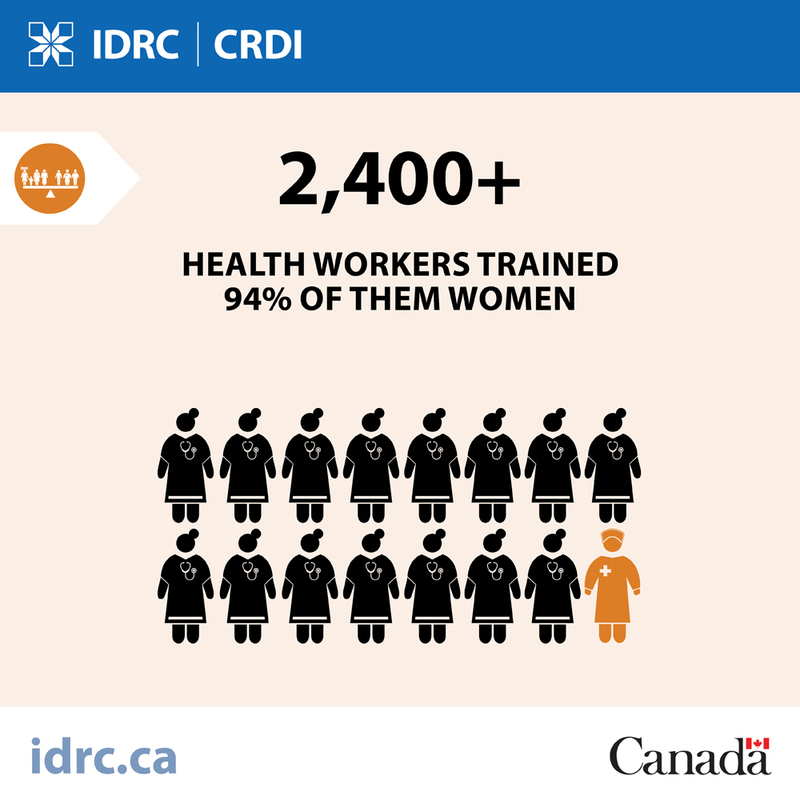 Because of their training, they could undertake activities such as vaccination promotion that were previously handled by male health workers, freeing them for other tasks. Like any initiative involving new ideas and changes in responsibilities, eHealth and mHealth interventions can contribute to conflicts at home, as reported by women participants in the Burkina Faso project. Recognizing the potential for conflict or misunderstanding early on, researchers initially fostered communication at all levels: in the home, between spouses, in villages, in health centres, and in community health associations. Over the course of the project, researchers found that male reluctance was greatly reduced and husbands appreciated the benefits of their wives’ participation, such as additional income. The mMOM project in Vietnam also enhanced communication in families. Many of the participating women shared and discussed the messages about pregnancy and childcare with their husbands. This is unusual in a society where maternal and infant health has traditionally been considered the domain of women. Men have since requested messages targeted to them, so that they can support their wives. Many eHealth initiatives overlook the need for patient data privacy and confidentiality. This can have damaging repercussions for women and men, which may exacerbate existing imbalances in power and opportunities. Many eHealth projects collect and transmit this information without removing identifiers that could easily link back to an individual. Sensitive health information should be protected through appropriate privacy and confidentiality measures. As SEARCH projects in Bangladesh, Lebanon, and Vietnam revealed, phones are often shared by families or controlled by the male head of household. Using text messages to notify women about a test result, for example, could be problematic, particularly if they deal with sensitive issues such as family planning. Where data is stored also matters: research in Kenya found that some eHealth information stored on servers outside of the country posed privacy risks. The research teams are sharing their findings among themselves and more widely with government and others involved in health planning at the national and international levels. These findings are already having an impact. For example, the Kenya research is feeding into the development of a national policy on eHealth, allowing for the inclusion of gender issues. The new eHealth framework in Bangladesh helps ensure that government and eHealth implementers consider equity and accountability in new projects. And in Vietnam and Peru, lessons from mMOM and WawaRed are informing efforts to scale up maternal eHealth efforts across each respective country. 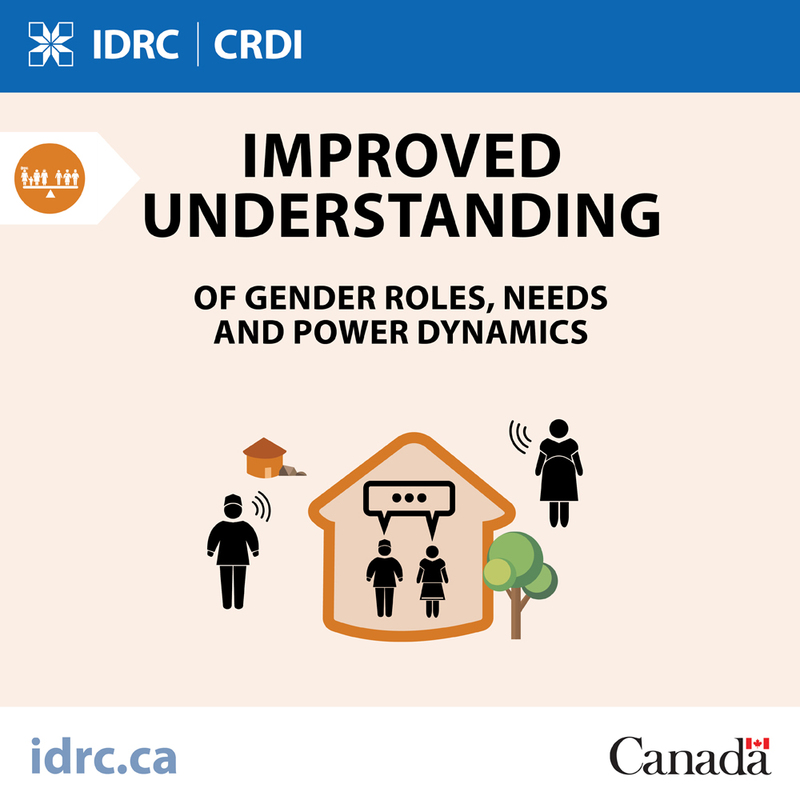 Throughout the SEARCH research it became clear that responsive approaches to existing community and household power dynamics are essential to plant the seeds for gender transformative processes in health systems.